According to the American Medical Association, one in five Americans suffers from chronic pain, and more than 75 million people are partially or totally disabled by pain. Some 45% of all Americans seek care for persistent pain at some point in their lives, and chronic pain is the number one reason people seek medical care. 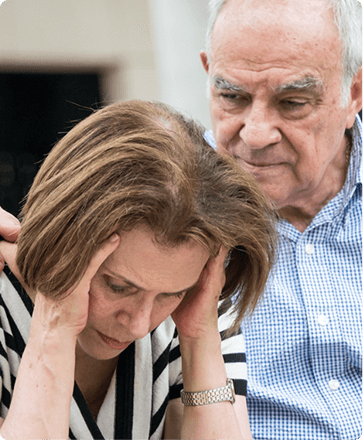 The annual cost of chronic pain in the United States, including healthcare expenses, lost income, and lost productivity, is estimated to be $100 billion. Chronic pain can interfere with every aspect of a person’s life: family and work relationships, friendships, self-esteem, and emotional well-being. Chronic pain may be a result of normal aging, which can affect bones and joints. Nerve damage and injuries that fail to heal properly are also common causes of chronic pain. Chronic pain can often lead to depression, isolation, broken marriages, and destroyed friendships. Traditional treatment with pain medication can also lead to drug addiction because over time, the medication just doesn't offer the relief that patients need. Your pain specialist can help you find relief from your chronic pain. Conservative options, including over-the-counter medications and physical therapy may help, although these treatments may not always be sufficient. The first step in pain management is to locate the cause or source of the pain. When treating chronic pain, it’s helpful to keep a log of when the pain occurs, where it occurs, and the severity of the pain you are experiencing. Be sure to include a rating of your pain from 0-10, with 10 being the worst, and if anything makes the pain worse or better. Rating your pain is a good way for your doctor to understand the severity of pain you’re experiencing. If pain is interfering with your daily activities or forcing you to lead a sedentary lifestyle, which can be terrible for your health, it is time to see a doctor. Pain accompanied by fever or upsets in urination or bowel movements should be checked immediately by a medical professional. If your back pain is met with unintentional weight loss, a history of injury to the back, or a family history of cancer, or if the pain does not subside within a month and is not affected by pain medications, you should seek medical attention. Your doctor will review your medical history and perform a physical examination. X-rays, CT scan, or MRI may help identify any abnormalities in the bone or muscles. Blood tests can determine if there are any underlying conditions that are contributing to your pain. To schedule a consultation with one of our pain management doctors in Bolingbrook or Hinsdale, call Chicagoland Pain Management in Bolingbrook, IL at (630) 312-4505 or in Hinsdale, IL at (630) 856-6825 or use our convenient online appointment request form.